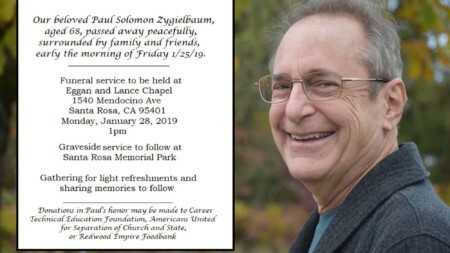 With profound sadness, Paul Zygielbaum, a dear friend, ardent ADAO supporter, courageous Mesothelioma Warrior, and dedicated ban asbestos activist, passed away on Friday with his family by his side. 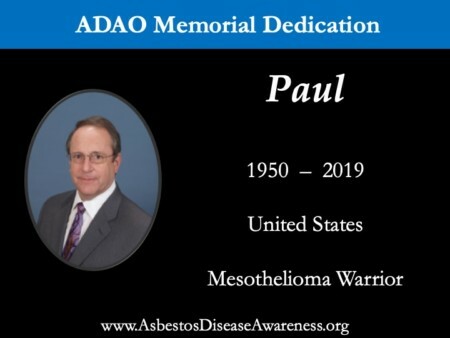 For more than a decade, Paul was a fierce advocate and a longtime volunteer for the Asbestos Disease Awareness Organization (ADAO), acting as the State Leadership Team Western Region Co-Director for many years. Since his 2004 diagnosis with malignant peritoneal mesothelioma, Paul and his wife, Michelle, have become activists in grass-roots campaigns to ban asbestos, to protect the rights of asbestos-related disease victims and their families, and to improve medical treatment and seek cures. Through this work, Paul served as a source of support, inspiration, and hope for so many in the Mesothelioma Warrior community and ADAO family. Paul’s career as an executive and entrepreneur spans the aerospace, electric utility, electronic communications and medical device industries. He earned master’s degrees in engineering and applied science from the California Institute of Technology and in business administration from Golden Gate University. Paul has published technical papers, articles and reviews in the fields of aerospace research, energy technology, and medicine. While personal experience motivated Paul to fight hard for the asbestos victim community, he served in many community and professional volunteer capacities. He was very involved in political activism, and his genuine spirit and positive disposition made him fast friends with a number of important players in the Democratic Party. Paul was absolutely selfless in the energy and time he was willing to dedicate to the causes and organizations he stood behind.  He and his wife Michelle were awarded ADAO’s Tribute of Hope Award at our 2007 Asbestos Awareness and Prevention Conference, and Paul spoke at our 2016 conference. ADAO dedicated our 8th Congressional Staff Briefing to Paul in honor of his work. We didn’t just work together, we shared many special life moments. I remember like it was yesterday when Paul shared wonderful details about their National Geographic world trip. Paul had many talents, one of his extraordinary talents was writing. Whether it was a technical piece, how to be an impactful leader, or travel blogs, Paul shared his knowledge and experiences like no one else I’ve ever known. We had a wonderful and dear friendship. Paul and Michelle met Alan and together we shared Bat Mitzvahs, births, milestone birthdays, and of course, good wine. I thought of Paul as a brother and trusted confidant. In his Share Your Story submission, Paul let the reader into his work and passion. Condolences messages have been shared from around the world. On behalf of ADAO, our hearts and prayers go out to Paul’s wife, Michelle, their three children, six grandchildren, and their loved ones. And while we mourn this tragic loss of a dear friend and fierce champion, let us also give thanks for the incredible work Paul did during his time. May we hold this part of his memory close, and use it as a reminder to never stop fighting for a safer world.